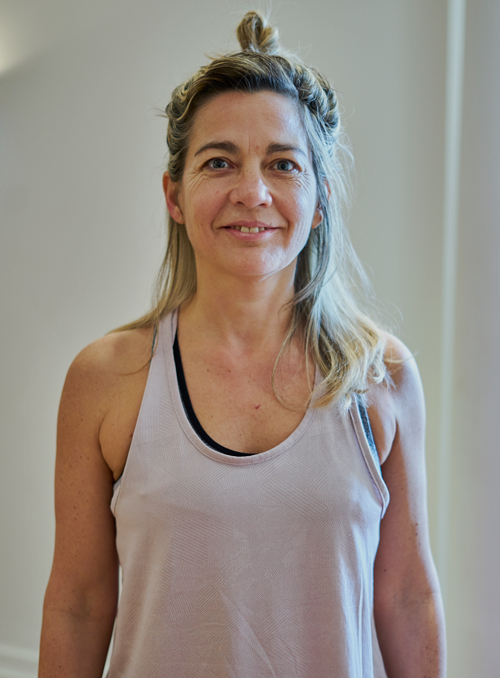 Tracey is the founder of Body Bliss and the director of our teacher training school.Tracey has been practising yoga for 30 years and teaching for 15. Yoga has always been a big part of her life since an early age watching her mother practice. 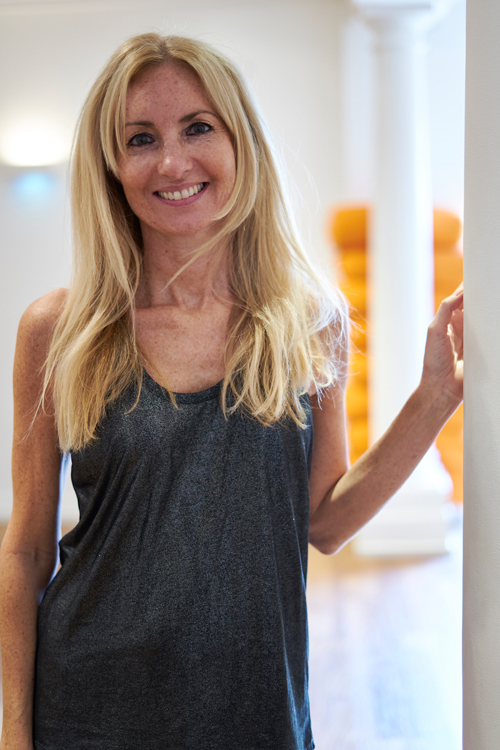 Originally qualified in Hatha, Tracey has since trained in Hot Yoga and other styles along the way. Combining her love of yoga and knowledge of weight training she introduced “Yoga with Weights” and loves teaching Hot 26. Alongside her love for yoga and teaching, her two daughters are very much a huge part of her life and spending time with them is of high priority. Tracey comes from a strong fitness background. 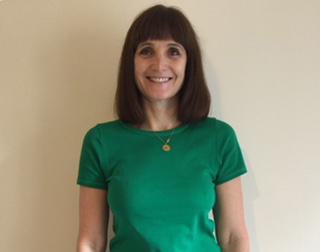 Her qualifications and experience include CYQ Exercise to Music, Step, Aqua, Fitness Instructor, MEND (Exercising children) Level 3 GP Exercise Referral, Cardiac Rehabilitation Phase 4, Yoga (500hr) Pilates Teacher Level 3, Assessor and PTTLS. Working with the NHS brought to light just how much people need yoga and pilates in their life. 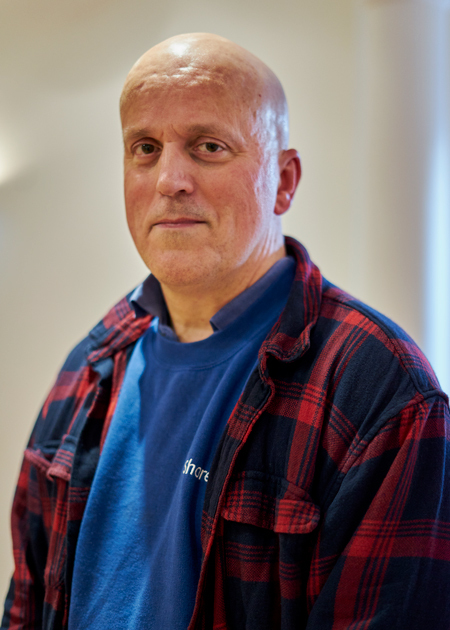 “I have always enjoyed teaching and watching the important changes in people’s lives, this for me is incredibly rewarding. To pass on my experience"
I originally trained to be a Personal Assistant and worked for many years in London, mainly in the Loss Adjusting industry, before leaving London to raise my 3 children. I have worked part-time locally whilst they were growing up, in an architects, a building firm and the NHS. I was a Governor for 5 years at one of my children's schools and was Commodore at Thorpe Bay Yacht Club for 3 years. I have now been at Body Bliss since the beginning of 2017 and really enjoy meeting all our client's and making Body Bliss a perfect place for you to practice yoga/pilates. Ann Behennah Reck has been practicing yoga since 2006 and completed her YMCA 500 hour CYC yoga teacher training in 2016 at Body Bliss. Her interest in yoga deepened after discovering how using yoga and yogic breathing techniques was extremely beneficial during her two pregnancies and deliveries. 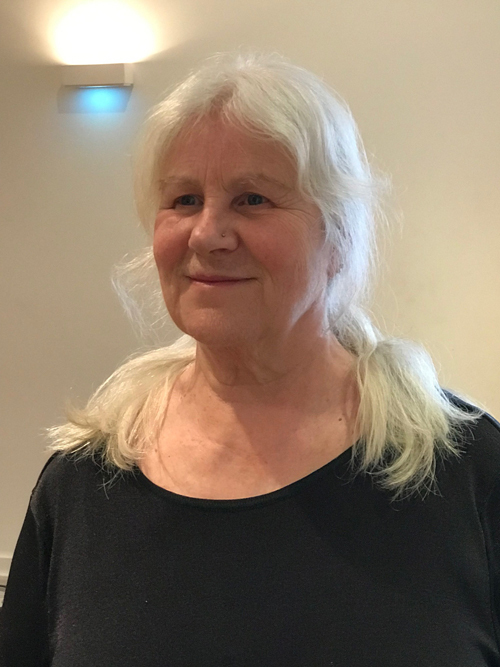 Ann’s personal yogic practice focuses on the myriad dimensions that yoga unites: muscular development and flexibility; core and pelvic floor strength; endurance; calm and overall mental wellbeing; and ethical behaviour. Her particular teaching areas of interest include the Hot 26 postures from the Ghosh lineage, strong Vinyasa flow classes, Ashtanga yoga, and yoga with weights. Ann truly believes that yoga is for everyone, everywhere, and that the benefits are absolutely limitless. Yoga Teacher and Tutor on the Body Bliss Training School. Moving to Westcliff in 2014 I joined David Lloyd and totally fell in love with all things health and fitness related and combined working out and lifting weights with Yoga classes 5/6 times per week. Towards the end of 2016 I was thinking of returning into the work place and toying with yoga teacher training and happened to mention it to a longstanding friend of mine (in fact the lady whose Company I ran when I was a Recruitment Manager) who gifted me the money to pay for my course. Although full of doubts and what ifs (mainly about starting something new in my 40’s) I saw this gift as a sign and booked on to the 500hour YTT course with Body Bliss qualifying in February 2018. I haven’t looked back and now teach around 10 local classes per week as well as 1:2:1 sessions. During this time I also went on to train as a Fitness Instructor, Level 5 Qualified Nutritional Therapist and a Ptlls Tutor, I will also be qualified in May to teach Pilates through Body Bliss Training School. I enjoy all aspects of Yoga, from Ashtanga to Hot Core to Yin, Yoga makes me happy. My time on the mat makes me a better person and I love it when people tell me they feel the difference and are getting hooked too and come back to my classes week after week. I honestly believe that the world would be a much better place if more people practiced Yoga. My earliest memory of yoga was watching my mother during her home practice in the early 1970s, I was fascinated by the beautiful postures, their names and their associations with nature and animals. I began my own journey over 30 years ago when I met my current teacher and attended classes with her in my hometown, Southend-on-Sea. I was drawn to the dynamic flow of Ashtanga yoga and in 2016 I completed my 500 hour teacher training and I have just completed a 200 hour teaching meditation course. My passion lies in Bhakti yoga, the yoga of devotion. I regularly lead Kirtan, a form of call and response devotional singing which is an uplifting and joyous practice. 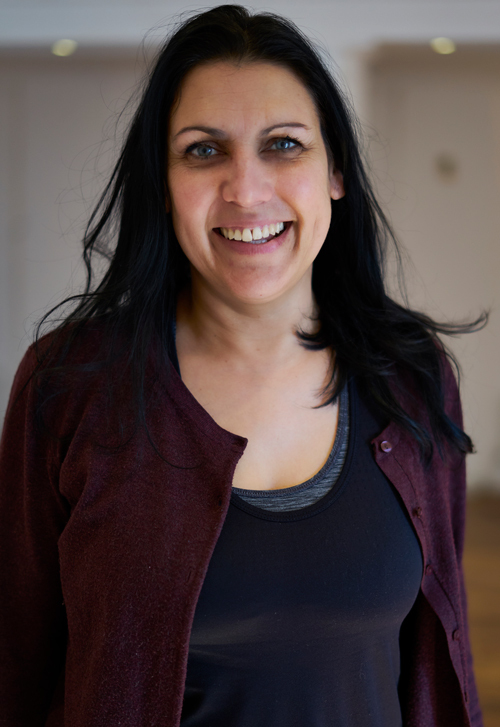 I teach classes and workshops around Essex; Ashtanga, Restorative yoga and Meditation, working with groups (adults and teenagers), and on a 1-2-1 basis, helping students to gain strength, mobility and confidence which they can take into their everyday lives. I passionately believe yoga is an enormously powerful gift which has the potential to transform people’s lives in a positive way, the benefits are immeasurable as it forms the pathway to a truly peaceful, happy and healthy life. 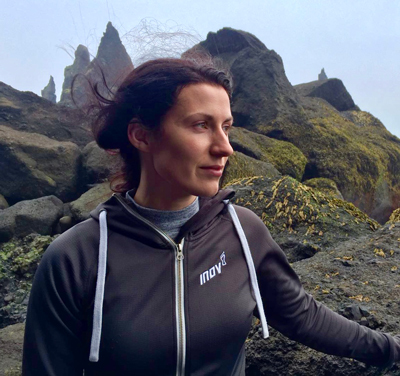 Ash started practicing yoga 10+ years ago after a period of illness, what started as a weekly asana practice soon turned into a devoted daily practice. Old habits were replaced with good habits and before he knew it his yoga practice had begun to liberate him – freeing mind and body. Believing in yoga as a tool for liberation and wishing to pass on it’s transformative effects he began to teach. Interested in the historical lineage of yoga Ash incorporates ancient yogic teachings alongside modern western mind / body science, wishing to make yoga accessible to all whilst preserving it’s rich cultural heritage. 'Hi, I’m Lauren and I’ve been practicing yoga since 2007. Yoga helped me to find a greater sense of peace and purpose after struggling with anxiety, stress and burnout in my former life as a major donor fundraiser. The practice totally changed my life and I’m here to help it do the same for you. I completed my initial teacher training in a traditional ashram setting in Rishikesh, India and just recently completed my second teacher training qualification with renowned vinyasa flow teacher, Claire Missingham, an incredible experience. I’m hugely inspired by yoga philosophy and dedicated to demystifying these ancient teachings, making them accessible and relevant to our busy, modern day lives. A little bit about me ......I have had a very privileged career in the NHS as a Registered General Nurse, District Nurse, Community Practice Teacher and I held a number of senior management posts such as Director of Clinical Services, Director of Primary Care, Director of Integrated Services to name but a few! 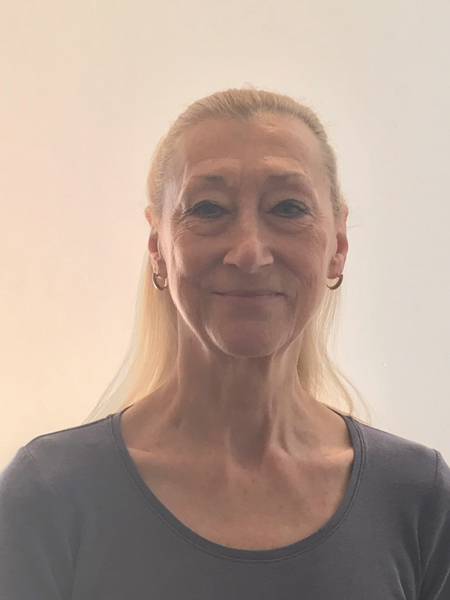 I have a wealth of experience and knowledge that I bring to my Pilates practice and I am passionate about caring, supporting, instructing and providing excellent classes to members. My classes are "Classic" Pilates classes, Mat based. They are planned and structured to assist you to initially learn the basic principles of Pilates and then to guide and instruct you through your journey from beginner to advanced levels. My classes are relaxed, interactive and fun so please come and join me. "It's nice to be nice ,kind to be kind and good to be good !" Eight years ago when I was a single mum, my children reached an age where I could leave them for a hour here and there. I decided to join a gym and started attending yoga classes and since then, never looked back! For me yoga has always been a rod in my life and no matter what life throws at you, it’s always there even if you turn your back on it from time to time. I started teaching yoga in 2016 after completing a RYA 200 hour. Yoga is something that you can continually learn and evolve in. Ashtanga is the lineage in which I trained and has a strong influence on me the way I teach. Personally, I like class which make you feel as if you’ve had a work out and hope this is reflected in my classes. Recently I completed a ‘Hot 26’ Yoga conversion at Body Bliss and really feel this has had an impact on my teaching methods. I enjoy working at Body Bliss and meeting the amazing, inspiring people along the way. My involvement with Pilates goes back to my training as both a dancer and dance teacher, doing class with teachers such as Alan Herdman, one of the pioneers of the technique in this country. I have developed a great respect for how Pilates could aid the development of the performers physique and help them recover from illness and injury. Whilst teaching dance I become more concerned with fitness and health issues relating to the general population, leading me to train as a Stott Pilates Teacher. I now work with a wide range of clients, including athletes and dancers, those recovering from injury or illness to people interested in developing and maintaining their own level of fitness through this empowering form of exercise. In all these cases the challenge is to develop each person’s awareness of how they can use their body to enhance and maintain this aspect of their quality of life. 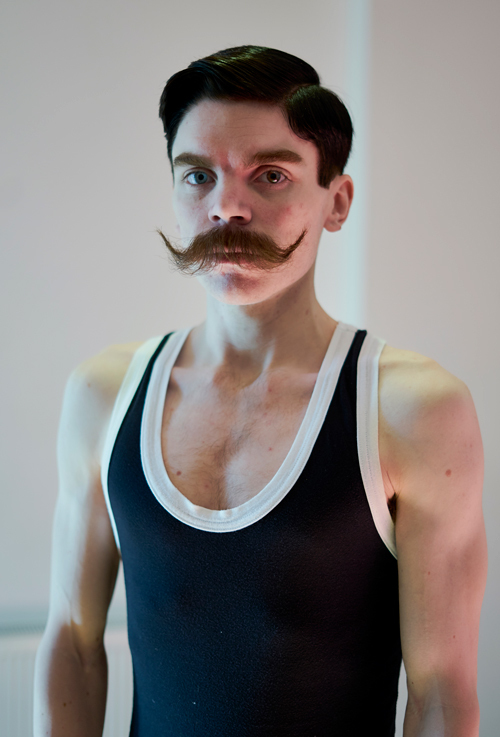 After an early end to a career in the arts I started teaching Pilates in 2011. Since then I never stopped learning about how movement can heal us and help us explore who we really are. I spend several years working within a Physiotherapy clinic, where I also started integrating biomechanics coaching and clinical massage into my movement work. When I started working with clients with neurological conditions, chronic pain, fibromyalgia and PTSD I started to notice the impact our nervous system has on our body and overall health. I noticed that standard rehabilitation or exercise was not so helpful to those who suffered with these conditions. I learned from my clients what was helping them and what was not and I sought further training in neuro-linguistic programming and somatic experiencing, in order to develop effective treatment for these conditions through embodiment and movement. 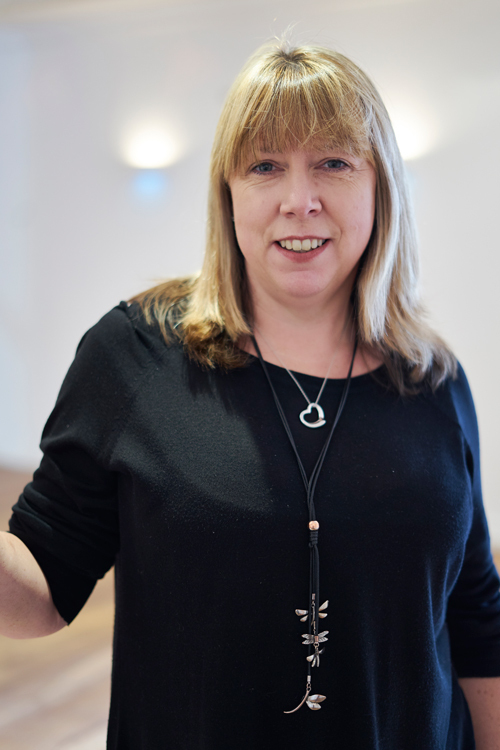 I now specialise in helping people, who suffer from chronic pain, anxiety and life-changing conditions and injuries, that impact on their physical and mental well-being. In 2017 I also became a member of the Polestar Pilates UK Education Team. I provide 1-1 sessions and mentoring for the students and offer professional development workshops to Pilates Teachers. During my time as an artist I worked with holocaust survivors in Germany and got involved with projects that strive to connect young people from previously war-ing countries. Now, as a movement therapist, who works with trauma induced conditions I am reconnecting with this work in my free time to support healing across generations and boarders. 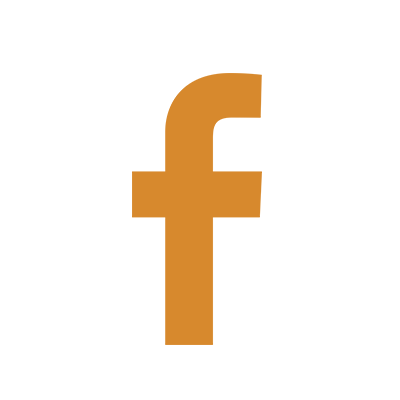 Somatic Experiencing: The Beginning, Neuro-Linguistic Programming Coach PractitionerComprehensive Studio Polestar Pilates Practitioner The Myofascial Anatomy & Movement Series , BTEC Level 5 Clinical and Remedial Sports Massage Specialist Biomechanics Coach (incl. 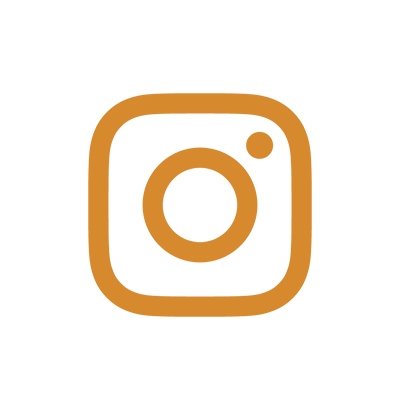 Low Back Pain Specialist) Reps Level 3 Personal Training, Reps Level 3 Mat Pilates, PgDip in Arts and Cultural Management, BA (Hons) in Visual Communication. I started practicing Iyengar style Hatha Yoga in 1976 in Norwich and continued in Southend working with Peter Ballard, one of B.K.S. Iyengar’s first qualified teachers in the West. I began teaching in 1987 and joined the British Wheel of Yoga, since then I have studied with teachers from many traditions from all over the world. I am a Thai Yoga Massage practitioner and have studied Tai Chi, Taoist meditation and Chi Gong, Chinese exercises for health and vitality since 1992, using my experience of these to compliment my Yoga teaching. I am the founder of Conscious Yoga and I have been teaching for almost 10 years. Through the insights I have gained from my practices of Yoga and Buddhism interwoven with meditation, mantra and conscious breath-work, I have developed an integrated practice that enlivens and heals the body, heart and mind. My methods are based on core Yin/Yang practices that enhances the meridians and organ systems which can balance and stimulate the energy in the body. Movement between Yin and Yang styles of yoga are essential elements for grounding and strengthening and reflects the reality of our lives. I use Asanas, breath-work, meditations and mantras that are often adapted to reflect the seasons we are in and they impact on us emotionally, physically, mentally and spiritually. My teachings work to address establishing much deeper body connections though mindful Strengthening and balancing practice (yang style) and the deeper more intuitive (yin practices) of holding the body still and deepening into the subtle energy systems and connective tissues, deepening our sensory and felt perception and developing calmer mind states. With a background in Personal Training I began a regular Yoga practice due to injury and a need to be kinder to my body. After completing my 200hr Teacher Training in Dharmsala, India in 2013 I was hooked, I can honestly say its radically changed my life. It was the bridge between my BSc in Psychology and Personal Fitness I was looking for. I enjoy teaching classes more than I would have ever imagined and due to my mixed style teacher training I can teach various styles from Hatha, Vinyasa to Yin. It is often the case that the forms of yoga we resist are the ones we need the most. I have certainly learned to slow down and with a regular yoga and mediation practice and love to share this journey with others. Having spent the past three years based in the French Alps I have predominantly worked with people in the Snow Sports industry. I taught regular yoga classes to pro skiers/snowboarders as well as one to one’s. Qualifications: BSc Psychology, Yoga TTC 500 hr, L3 Personal Training, L3 Exercise Referral. I trained at the Tibetan Buddhist Centre, Kagyu Samya Dzong, YogaLondon. I am qualified as an Ashtanga Vinyasa/ restorative based teacher as well as pregnancy yoga, yoga therapy, Reiki and crystal healing. I have been practicing yoga internationally for over 10 years, teaching in Australia, Bali Indonesia, Kerala India, Merkaba Portugal, and London. Yoga philosophy is the heart of my practice. Without it yoga for me is just exercise. Breath, patience, acceptance, gratitude, and non-judgement are the foundations for my practice. Through my practice I hope to spread inner calmness, a healthy sense of wellbeing; fit, strong and lean bodies. Working on core strength, alignment and breath control which helps to nourish and nurture our bodies, detoxifying the #mind, #body and #soul. On my yoga journey I learned to be true to myself, true to my nature. 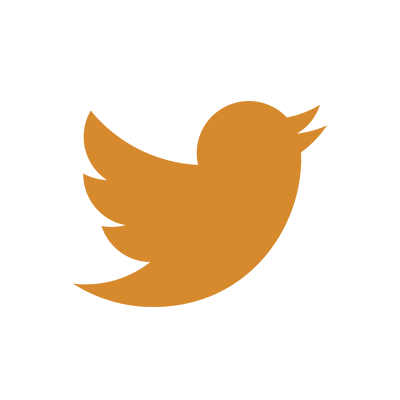 It helped me achieve a personal balance. I became more aware of the blessings in life – full of love for everything around me, everyone, myself, my Atman. A pure sense of unity. My passion grew. And still does every day. 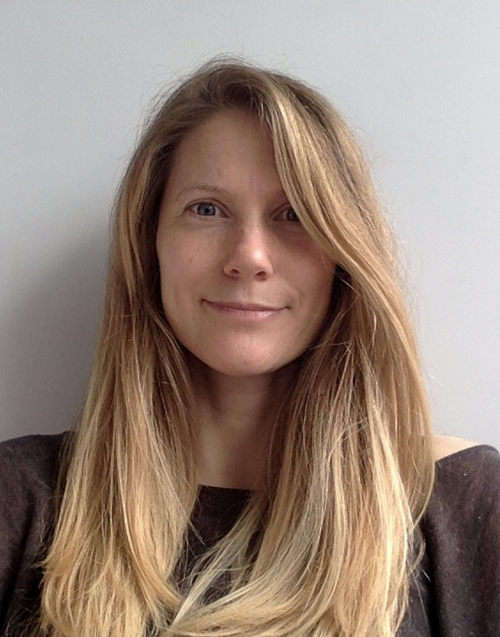 Charlotte qualified as physiotherapist from Kings college London in 2011. 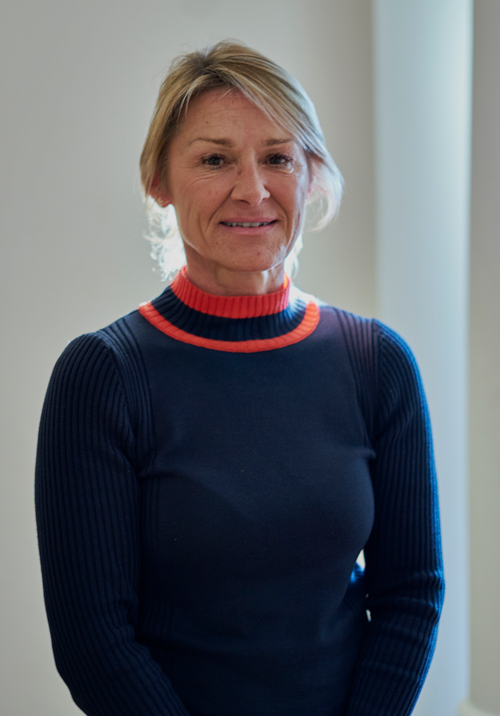 Charlotte’s background is in rehabilitating a wide variety of musculoskeletal and orthopaedic clients, with a special interest in knee and back injuries. 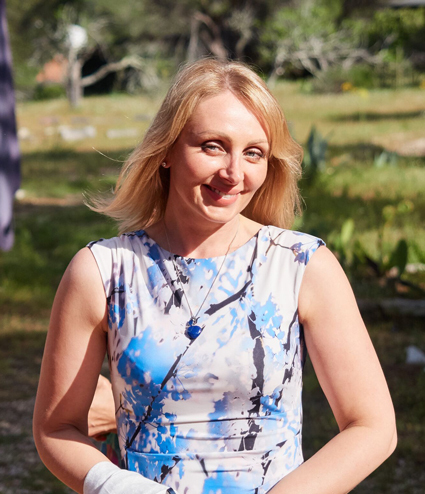 She has a passion for human biomechanics and inspiring people to take care of their physical fitness and health enabling them to feel and move better. 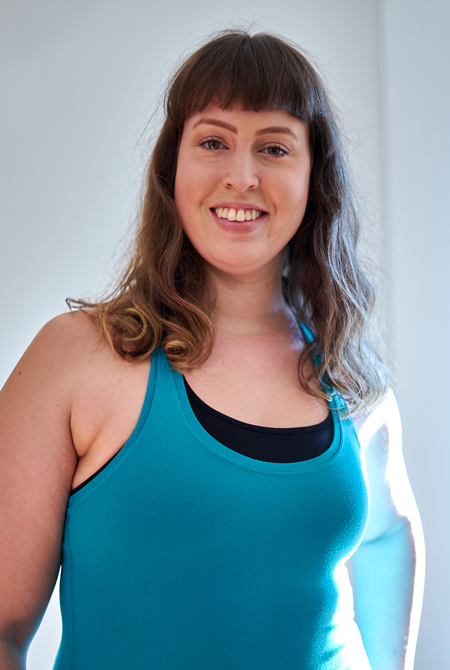 Alongside her physiotherapy career charlotte has, always had an interest in the world of Pilates and followed a variety of experts within the movement world. She incorporates her clinical expertise when designing her Physiotherpay lead rehabilitation classes and strives to ensure her clients feel supported throughout their individual journeys. Charlotte spends her free time running, rock climbing and competing in Brazilian Jujitsu, but enjoys any sport or movement and is always keen to optimise others people’s performance within their chosen hobbies. My background is in dance/musical theatre and as a Fitness instructor with Reebok company. During my dance training I turned to Yoga as a hobby and as an additional exercise but found this also to be my path to recovery, from injuries that had naturally resulted from my training regime over the years. A career change, then gave me new opportunities and I decided to focus on my growing passion and appreciation for Yoga. I undertook a Yoga Foundation Course following a 300 hour Yoga Teacher Training Course. As ongoing learning process, I’m regularly attending Hatha, Ashtanga, Kundalini Yoga workshops to enrich my own practice and my classes. I have also continued on with further training as Fitness instructor over this period and now enjoy teaching and sharing yoga with my Students. My aim is to guide others so they too can experience the many amazing benefits of yoga for the body, mind and soul. Linda trained at the Rambert School of Ballet from 1961-1966 & joined Ballet Rambert Company straight from school. She joined London Contemporary Dance Theatre in 1968 & created many roles in the 16 years as a principal dancer. In 1982 she created & toured her own solo show & danced an original role in Andrew Lloyd Webber's Song & Dance in the West End. As a freelance dancer she was a member of Wayne Sleep's 'Dash' & 'Hot Shoe Show' & also danced in operas at the Royal Opera House in Covent Garden. As a teacher she has taught in many dance companies & schools around the world & remounted works by leading choeographers. 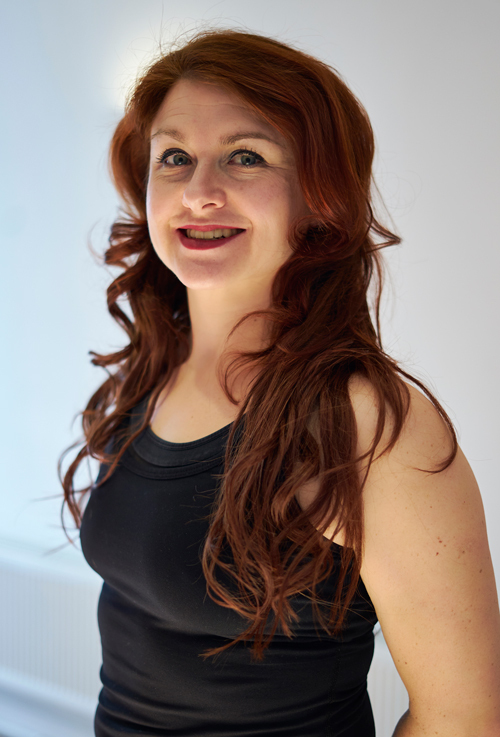 In 2000 Linda had a total hip replacement & retrained as a Pilates instructor at the Alan Herdman studio. She has recently danced at Sadler's Wells Theatre in the Elixir Festival & a brief appearance in the film Mamma Mia 2 Here We Go Again. 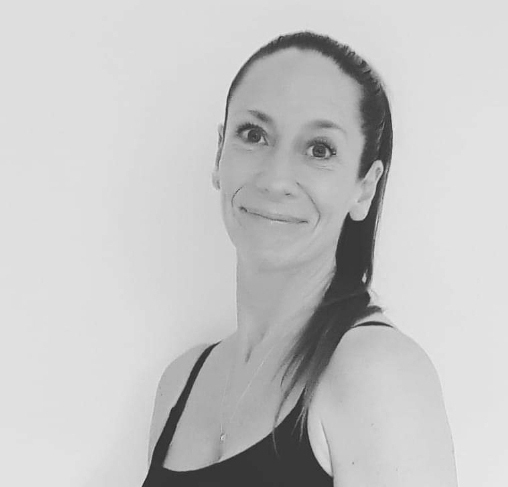 She has taught Pilates in many gyms & studios across London & is currently teaching at Body Bliss in Leigh-on-Sea & matwork classes in Thundersley.